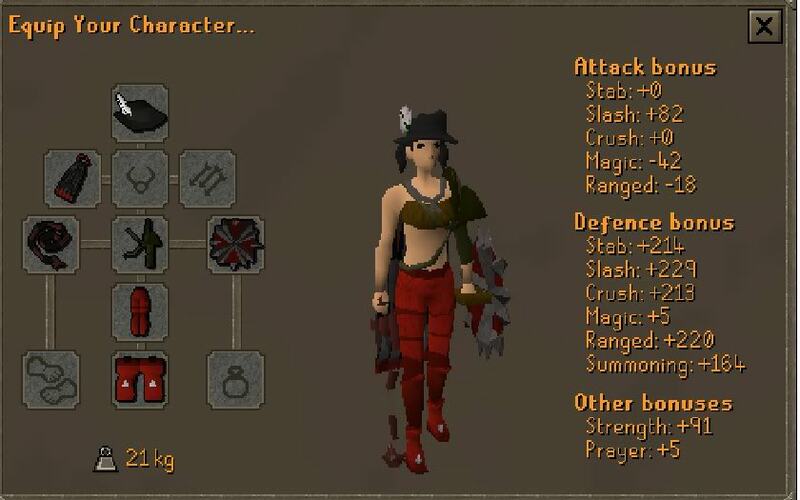 I found this picture on photobucket, and even tho its not me, its EXACTLY what i would wear back in 09-10' (switch the dlegs for a dkskirt and add a glory). And yes, i often play as a female. Think about it, when grinding out skills, would you rather stare at a man chopping a tree or a woman? Switch that cav with a neitiznot and now you got something! Wow, what a blast from the past. I used to see Veracs Brassard/Dragon Platelegs coupled with Robin Hats allllll the time. It made me pretty jealous back in the day. I was never that rich. I barely managed to scrape together Barrows even around 100 combat. and a Ring of Life, because dying actually meant something. Ironically, when i got my mem trial on Mint in summer 12', bought full armadyl (14m), zaryte (46m) and gnome scarf (3m) on day 1.